Home Dental Should have My Teeth Professionally Whitened? Should have my teeth professionally whitened? The discoloration of teeth is the most common problem in almost everyone and it can be cured. 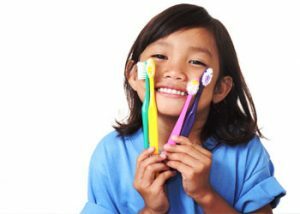 Even if you brush and floss your teeth thoroughly every day, you may notice your smile begins to lose its sparkle over time. Proper oral hygiene can go a long way to preventing stains, but things like aging, medications, coffee, tea and even some of your favorite foods can all contribute to tooth discoloration or yellowing. Just as we age our hair becomes white and similarly our teeth become yellow and it is natural process. This discoloration can be reversed professionally. Teeth whitening process can easily last around two years. There are two types of stains. Intrinsic stains are those stains which are occur within the teeth. And Extrinsic stains are those stains which are on the surface of the Enamel (enamel is the outermost layer of the teeth). And the most common reason for the extrinsic stains is the lifestyle and the food consumption. Intrinsic stains can be reversed by whitening the inner part of the tooth. That is, our teeth act as a sponge. And it can be reversed by making our teeth soak in the Hydrogen Peroxide Gel which is also called as whitening gel. When the inner part of the tooth is whitened, the color that’s reflected through the outer enamel of your teeth is lighter, making them look whiter and brighter. And the Extrinsic stains are just the stains on the surface on enamel and can be removed by polishing and whitening tooth paste. Teeth whitening is totally safe if it is done as recommended by the dentist. Theoretically, since the dentist is present, you reduce your risk of doing damage to your teeth. Sometimes teeth whitening may lead to sensitivity, and damage sometimes as it is a treatment to living tissue. But with right advise and right treatment there is nothing to worry about the possible problems. For right advise and treatment visit Dr. Peter Castellana (https://www.drpetercastellana.com/). They are experienced team of practitioners devoted to your oral health enhancement. 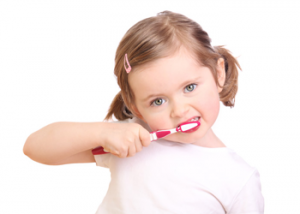 As general dentists, the scope of our service will provide you a one-stop oral health care.